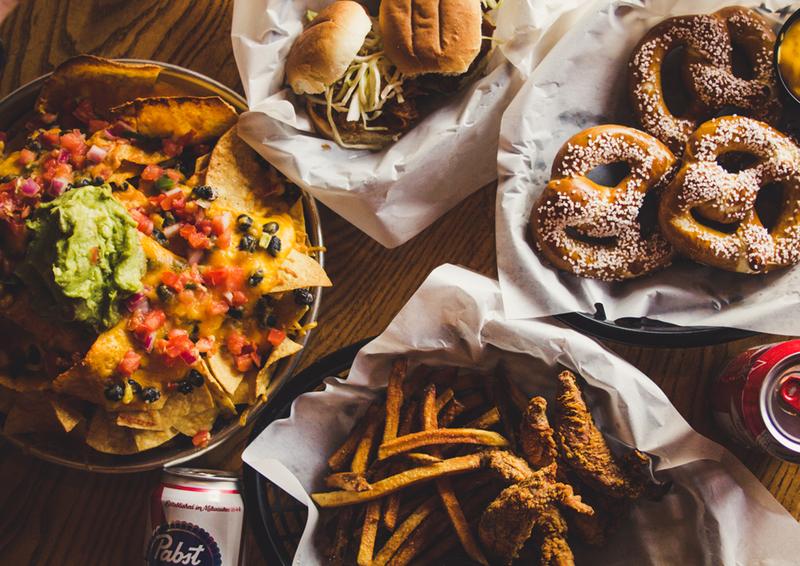 Located in the heart of Ohio State's campus, Fourth Street Bar and Grill is a purveyor of American food and drink. Check back soon and we'll tell you all about us! 2.25 Wells, 2 buck Bud Pounders, & HALF OFF APPS! 24oz Specials 2.75, 4.75, or 5.75 AND 3 dollar Burger and Fries! BEER SCHOOL AT FOURTH ST.
A "D" is passing here, so you'll never flunk out. Attend one class every second Monday of the month to learn from the best brewers around and get free swag from that featured brewery. For $10 you get five 5oz. pours of beer, free beer swag, and an opportunity to drink in class and learn from the best. After every class you complete, you'll get unlimited $3 pints of that beer for the whole month! Attend 3 consecutive classes each quarter and you'll receive a branded piece of Fourth Street apparel. Every time you wear it in, you'll get 25% off your whole tab! Not valid during happy hours. Interested in joining our team? Let's get to know one another, fill out this form below, and we'll be in touch!